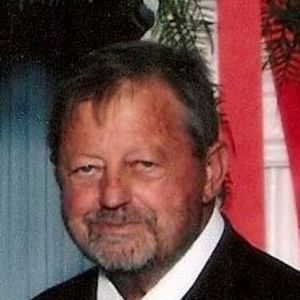 CENTRAL CITY -- Girdley Huff, 67, of Central City died Friday, June 11, 2010, at his home. He was a retired computer specialist. Survivors include his wife, Shelby Morris Huff; three daughters, Lisa Hart, Bonnie Sue Bentley and Christy Barnes; two stepdaughters, Millie Rivera and Michelle Holley; four siblings, Curtis Huff, Tim Huff, Emma Halcomb and Bonnie Huff; and his mother, Bonnie Huff. The beautiful and interactive Eternal Tribute tells Girdley's life story the way it deserves to be told in words, pictures and video. Knew and worked with Gene for almost 20 years. We shared many good times and I have many fond memories. Am sorry to learn of his passing. My condolences to the Family. My condolences to Gene's wife, Shelby and his family. Gene was my boss and friend since 1993 when I started worked with him at Fort Campbell, KY. He was there during the rough times. I appreciate his friendship and all the times Gene and his wife included my sons and I in their family gatherings. He will be remembered with a smile. God Bless Him. To the Family of Mr Huff, my condolences and Blessings to you all. and Friends. God Bless you all. I met Gene and Shelby when we arrived at the Nashville Airport at about 10 P.M. on November 30th, 1999. It was a Friday night (after a 25 hour flight from Korea). I had my wife, 2 kids, 2 dogs, 2 cats, and 4 huge carts full of baggage in tow. What a blessing it was to see them waiting for us when we got off the plane! And we didn't even expect it! They went out of their way to greet us, help us get all our belongings to Clarksville, and get us checked into the motel. That's how I remember Gene. Always ready to give folks the shirt off his back. Always ready to help when help was needed. No matter what the cost. It was a blessing to know and work with Gene. Please except our humble condolences. My family shares the feelings of loss with all of you. I worked with Gene for many years. He was a fine man and a good friend. I am saddened by his passing and may God rest his soul. My deepest sympathies to his wife and family. Gene will not be forgotten in our hearts.